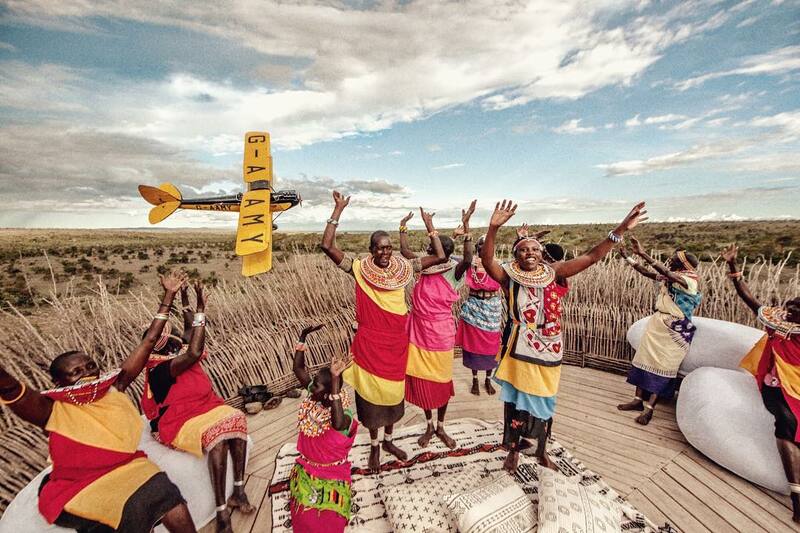 Segera retreat in Kenya is home to a beautiful wildlife. 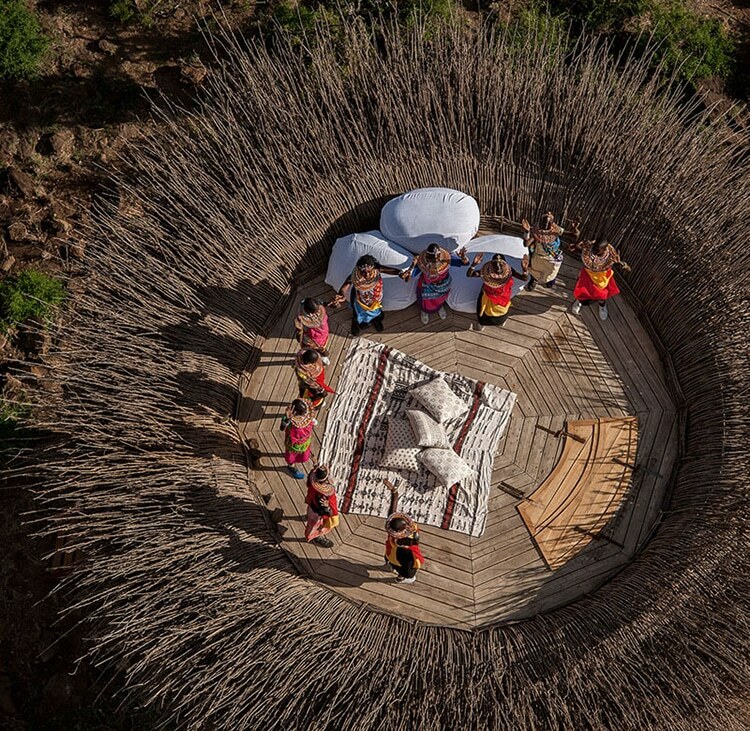 The retreat offers several villas to visitors, who want an African getaway, but still like to have a luxury. 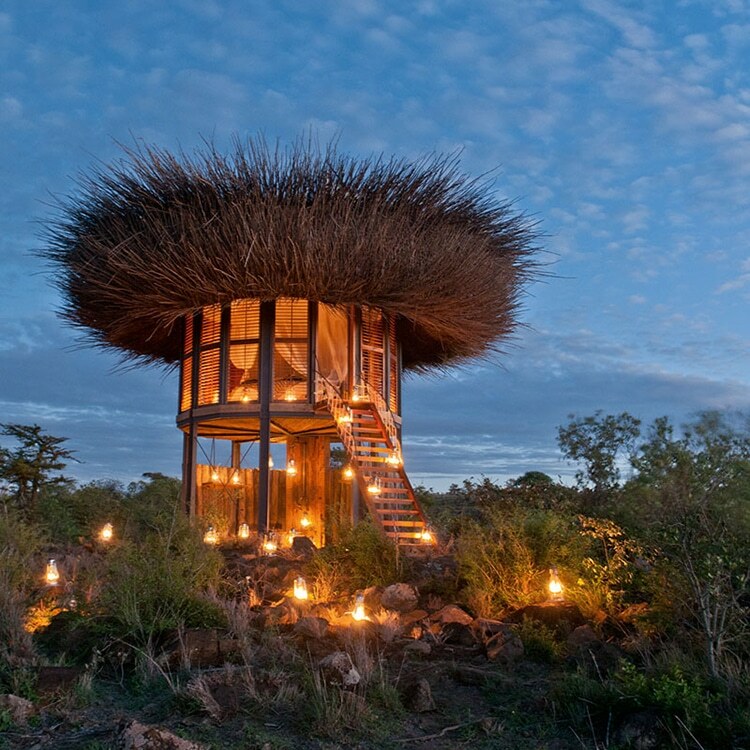 The Nay Palad Bird Nest Villa is definitely most incredible place, where human can have a glimpse into a birds life. 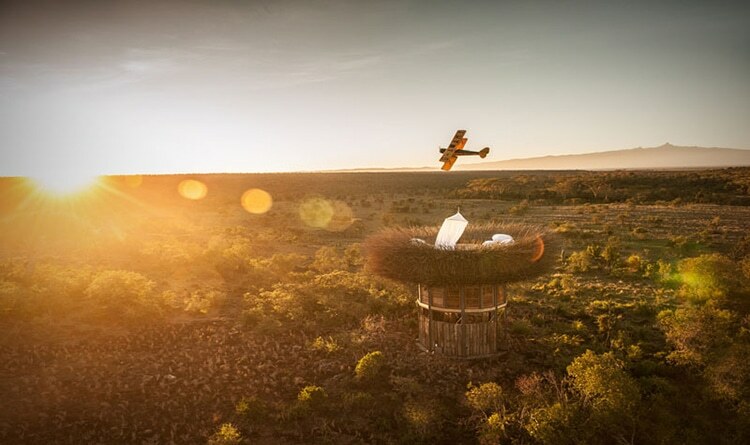 The place truly looks like a huge birds nest, that offers panoramic view. While it’s designed for two, the nest can sleep more. There’s a cozy first-floor bedroom, supplied with crisp, luxury linens and toasty hot water bottles; however, there’s always the option of a night beneath the stars on the open-air top deck. Despite its remote location, the villa offers full luxury service, and is also equipped with solar-heated running water in the bathroom. 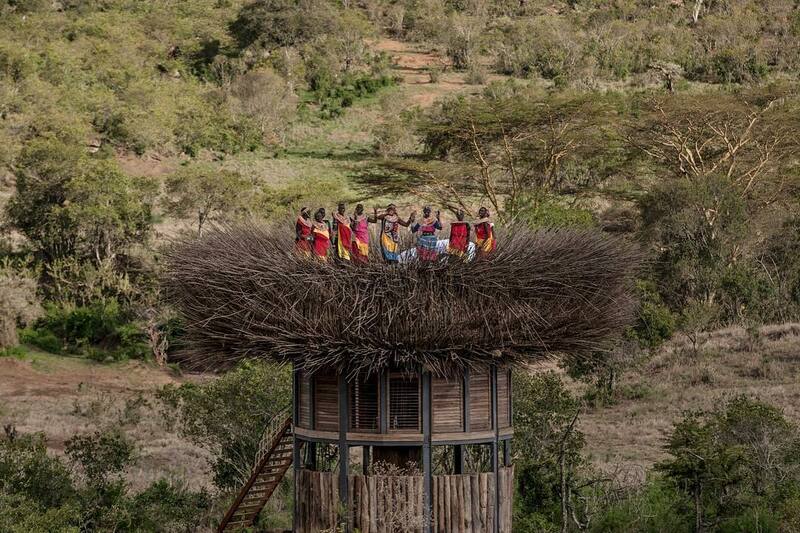 The entire nest has been constructed using raw materials, such as farmed wood and tree branches that have been woven together by local community members. 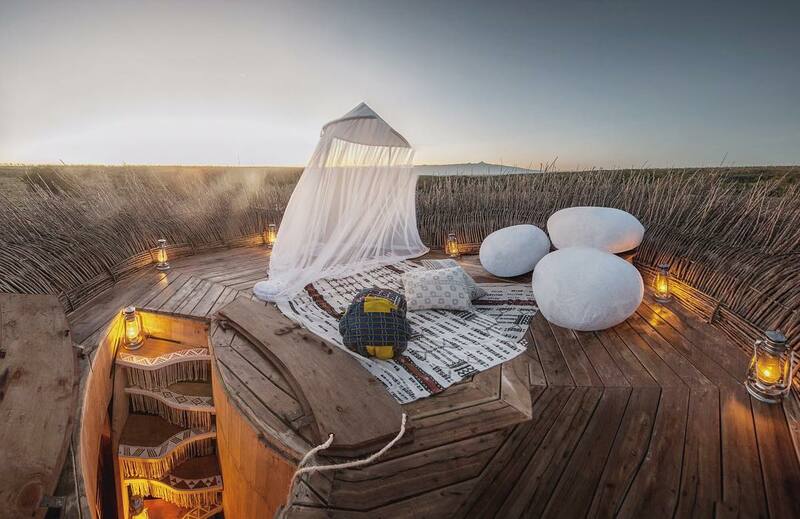 After a thrilling day, visitors can enjoy coziness of the nest, lay on a deck and stare at the stars, with a glass of champagne. The morning brings another day full of adventure. 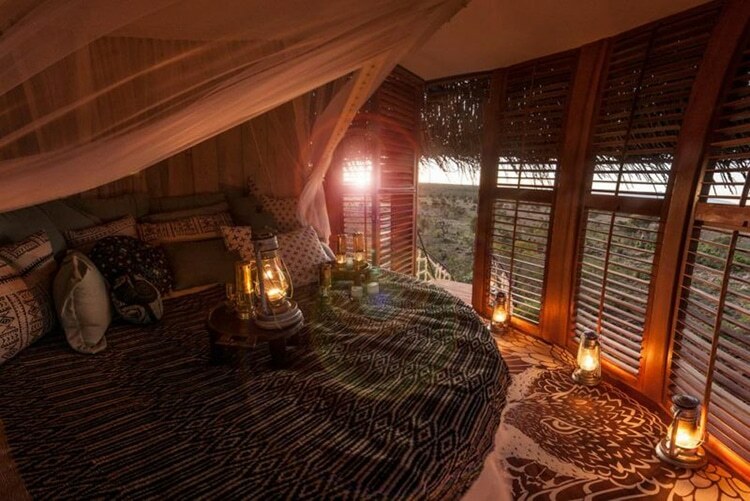 And what’s a better start, than waking up with nature sounds, while surrounded by a beautiful Savannah.